Since regaining control of Washington’s Legislature last fall, Democrats seem bent on defining themselves as the party that opposes transparency and open government. Democrats have been in full control of the state Capitol for less than three months, and quickly they are proving they are not the party of transparency and open government. The latest example came Saturday, when the state Senate and its new Democratic majority approved legislation that would exempt state employees’ birth dates from public disclosure. That same day, the Senate approved an automatic voter-registration bill that would simultaneously strip dates and months of birth from Washington’s public voter rolls. Both these measures would severely limit the ability of the public and the press to identify people who may have past criminal records — individuals who could be working in local schools, living down the street or running for public office. The state House should ensure neither proposal sees the light of day. Without precise dates of birth, journalists cannot definitively track people with similar or identical names who may move from jurisdiction to jurisdiction or school district to school district. In a series called “Coaches Who Prey,” Times reporters used dates of birth to help track teachers and coaches who transferred between districts after being accused of inappropriate relationships with students. In a self-serving move, the amended version of the voter-registration bill would still disclose a person’s birth year, allowing legislators to target voters by age group using mailers and door-to-door campaigning in their upcoming re-election bids. State Sen. Jeannie Darneille, a Tacoma Democrat who sought the amendment, said she is concerned about protecting voters from identity theft. But Darneille’s amendment to Senate Bill 6353 renders the otherwise noble effort to expand automatic voter-registration unacceptable. Gov. 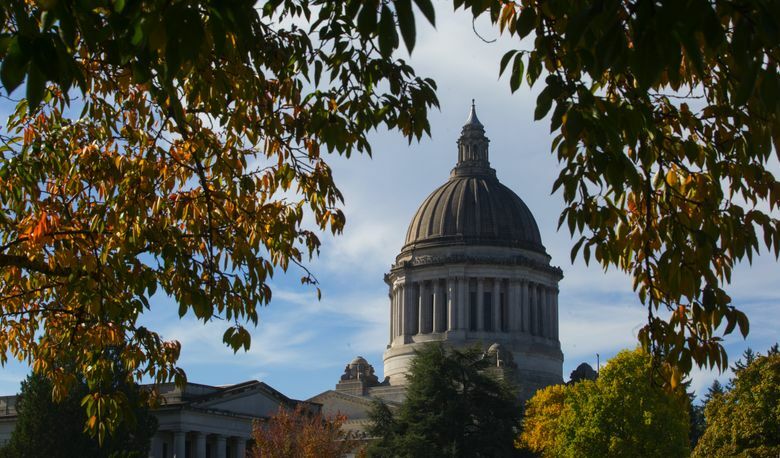 Jay Inslee and other Democrats have said state employees’ birth dates should be protected for similar privacy reasons. But Senate Bill 6079, sponsored by Democratic Sen. Patty Kuderer of Bellevue, really is about something else: Keeping the conservative Freedom Foundation from contacting state employees, as the group has done in the past to tell certain workers of their right not to pay union dues. This isn’t about whether you agree with the Freedom Foundation’s war on public-sector unions. Fundamentally, Inslee and other Democratic politicians can’t decry a piece of mail or a knock on the door as an unspeakable privacy violation when they regularly use those same methods to ask people for their votes. The entire effort to shield dates of birth comes across as Democrats pandering to the Service Employees International Union, a major Democratic campaign contributor, during a key election year. When it comes to voter registrations, obscuring dates of birth also makes it more difficult for Democrats to defend the integrity of the state’s voter rolls as President Donald Trump and other Republicans spew unfounded claims about voter fraud. Senate Majority Leader Sharon Nelson, D-Maury Island, has done the public a great disservice by allowing these bills through the Senate. House leaders and Inslee should reject these measures as an assault on government transparency. The governor has presented himself as a leader when it comes to open-government issues, releasing emails and other documents that legislators refuse to disclose and admirably not exercising executive privilege. Signing these bills would only undermine his credibility in this area. Nelson and other Democratic senators might not remember who they work for. Their top priority should be serving the public, not the special-interest groups that bankroll their campaigns. Now it is up to Speaker of the House Frank Chopp and his colleagues to embrace this value.